Pitt Head Coach Pat Narduzzi has lived and died with in-transfer players since he arrived at Pitt in 2015 for his rookie head coaching job after being a long time defensive coordinator for Michigan State. The nice success in his initial two years here, when he posted back to back eight win years (the most since 2010), was in large part due to the play of graduate transfer QB Nate Peterman. 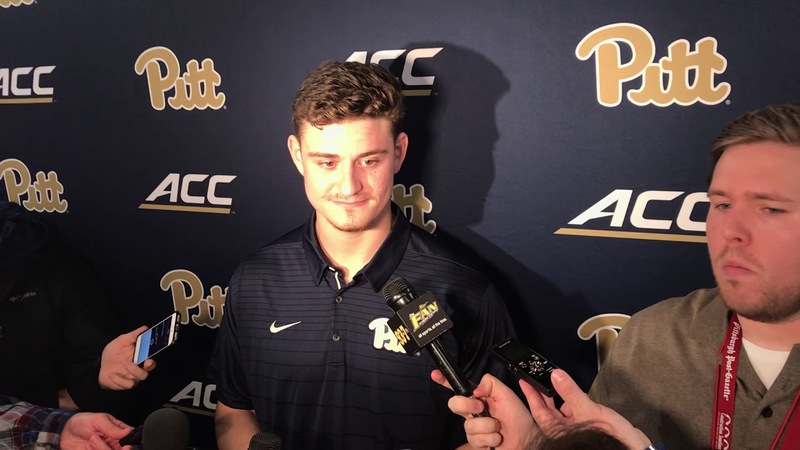 Peterman transferred from the University of Tennessee to Pitt on the recommendation of his old Volunteer Offensive Coordinator Jim Chaney, who held the same position at Pitt in 2015 and so chose to play his last two years of NCAA eligibility with the Panthers. Peterman took over the starting QB position from incumbent starter Chad Voytik in the 2nd quarter of the second game of the 2015 season and never looked back. With Pitt’s decent defense that year (the last good play we saw from that unit for two more years) Peterman played well enough for the Panthers to finish with an 8-5 record. He had actually out-played the incumbent starter Voytik in 2015’s fall camp but Chaney and Narduzzi decided to ease him into the starting lineup once the season started. Peterman – 151.05; Palko – 140.80; Rutherford – 137.86; Marino – 127.73 and Van Pelt – 127.03. So you can see just how Peterman led the pack with our historical QBs. That sterling production in 2016’s record-setting offense was doubly important because it was played in conjunction with one of the absolute worse Pitt defenses in our modern history. But on strength of his passing; running and field leadership he helped carry the team to a second straight 8-5 year. Quite honestly had Peterman been even an average QB that season Pitt might not have won more than four or five games that year – the defense was truly that horrible. His time at Pitt was all a head coach and an offensive coordinator could hope for as he was Narduzzi best transfer by leaps and bounds and represented the absolute best case scenario for a transfer player and the team he joined. The amount of graduated players transferring had grown dramatically since it was first allowed by the NCAA back in 2006. Of course Pitt’s 2017 QB Max Browne was one of those and more on him and his time at Pitt later. A reason for that growth is the nature of college football these days with the relaxed regulation on graduated players being allowed to jump to another team without the requirement to sit out a full year, or be limited to what teams he can transfer to, as undergrad players have had to do. Interestingly enough, Peterman was one of the few grad transfers to be able to play more than a single season at his new school as he was graduated in under three years from Tennessee. What a great role model there both on and off the field. Unfortunately Peterman has been the only real high success story Narduzzi has had as far as incoming transfers go and our head coach has been transfer-grabbing as hell in his time here at Pitt. His other transfers haven’t fared nearly as well as Peterman did even if they came out of high school as highly rated 4* or 5* recruits years before. DE DeWayne Hendrix, was also a 4* recruit like Peterman and also from Tennessee, has had little impact as a starter. Hendrix will play out the 2018 season as a redshirt senior. 4* recruit TE Chris Clark landed at Pitt after flitting around other schools and made such small contribution here (16 for 122 and 1 TD) that he jumped right back on the train to nowhere in March at the beginning of Pitt’s spring drills. Before arriving in 2015 at UCLA, where he played in one game before leaving the team, Clark had been committed to Michigan and North Carolina during his time as a four-star prospect out of high school. In between the West Coast and Pitt, he was headed to Syracuse before that fell through (SYR pulled his offer after his on-campus visit) . Narduzzi was happy to add Clark to the mix instead, and throughout last year he spoke positively about Clark’s improvement on and off the field as he worked his way back from multiple knee injuries. TE Matt Flanagan from Rutgers who played one year for us in 2017 also made little impact. He was a one and done player for us. 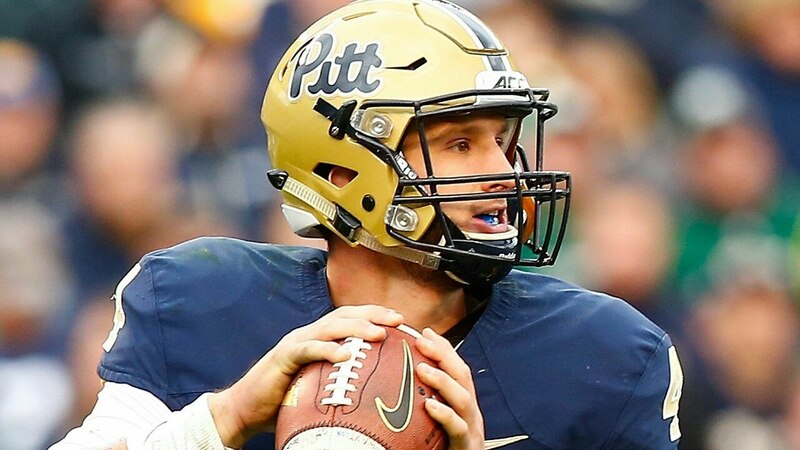 The most recent ‘wishful thinking’ transfer who was placed immediately as a starter at Pitt was 5* recruit QB Max Browne who was almost a complete bust while playing for us. Everyone who follows football knows that the most important single player on the field is the quarterback; there is no real disputing that. So if your starter doesn’t pan out, and that was the case with Browne, then your 2nd string QB (QB2) sitting on the bench better be able to take up the reins and produce immediately. rsSO Ben Dinucci was called on to replace Browne when he went down for the rest of the season with a right (throwing) shoulder injury. DiNucci was semi-effective in that we went 2-2 under him as the starter. His stats weren’t very impressive so he held a tenuous grip on the starter’s job which the staff loosened at the earliest opportunity. Apparently that opportunity didn’t occur until the last two games of the season when the staff felt true freshman QB Kenny Pickett was ready to be a starter. That delayed move paid out in a big way when Pickett led Pitt to an upset against the #2 and undefeated Miami Hurricanes and gave Pitt that important 5th win on the year. Five wins are bad but only getting four wins has a whole different stink to it so that Miami win helped in numerous ways. In all Pitt fielded seven transfer players who had playing time in the 2017 season. Looking back through rosters it appears that was the most transfers Pitt played in one season in many years. In addition to those mentioned above we had OL Brandon Hodges, TE Nate Bossory, DL Kam Carter and WR Araujo-Lopes who all contributed at one point or another. The problem was that with the exception of Araujo-Lopes, who did well in his first year in D1 (43 catches for 531 yards and 12.4 yards per catch (ypc) average) no others came anywhere close to what was expected of them when they came onboard. At best they played average but mostly D1 below average ball for us. The thing about continually getting transfers is this; most have already failed in some way at their previous school(s) and are looking for a shot at redemption somewhere else otherwise they would have stayed have where they were. There are some exceptions of course. Some players at Community Colleges (CC) and Junior Colleges (JUCO) chose that lower level of football right out of high school, usually for want of D1 scholarship offers. After succeeding at that level they then are looking to jump up and make their mark in Division I ball. Those are the recruits who are building upon their previous successes and stepping up the competitive ladder. That is a ‘best case scenario’ for that type of transfer but sometimes ‘success’ is hard to define. But in the main when a D1 player is transferring out of his original school there is a reason he’s no longer on that roster. Sometimes there is a valid reason such as being ‘recruited over’ by recruits coming in from later recruiting classes who have shown more future promise and are favored by the coaching staff. It also could be because the player just doesn’t feel the fit is right between himself and the football program and he’ll not see the playing time he envisioned when he committed and signed with those original and sometimes subsequent, schools. That is many times the case. But it could also be that friction exists between the player and either the coaching staff or other players. Sometimes that is created because of negative behaviors or academic failures both of which aren’t publicized due to Federal Student Privacy (FERPA) laws. Some are then cut from the team; “dismissed” is the word most frequently used, if that dismissal was for cause. But if a player and the staff agree that he’d be better off elsewhere the public phrase “chose to transfer” is a softer version of an actual dismissal off the team. And of course there are the outright expulsions from a program because of more serious negative behavior and that is usually done after an arrest or other publicized bad actions. When that happens Pitt doesn’t hesitate to show the cause of dismissal as we saw with RB Chawntez Moss earlier this winter. Pitt had a transfer of the latter sort and made a huge error in judgment in asking Defensive Tackle Kam Carter to come to play for the Panthers before the 2017 season. After being recruited by and enrolling at Penn State, then failing two drug tests and then oversleeping when required to take his third test, he was dismissed from their team. He then bounced down to Mississippi where he attended East Mississippi Community College and was featured in the “Last Chance U” TV series produced by Netflix where he came across as self-centered and immature kid. Prior to landing at Pittsburgh, Carter was a big-time member of the Penn State recruiting class in 2015 and he was dismissed from that particular program back in May 2016. From there, Carter landed at East Mississippi Community College and, while that JuCo stop was effective in helping him bounce back up to the FBS level, his stint at Pittsburgh has now officially come to an end after just eight tackles and 1.5 tackles for loss in nine games..
After the 2017 season ended Carter again packed his bags and got kicked out of another Power 5 football program leaving Pittsburgh for perhaps a fourth school in points unknown. This scenario was easy to predict to happening as the handwriting was on the wall in broad strokes. And to intercept a thought; let’s please do drop the excuse about his, or any other obvious problem child’s, deserving a second (or third) chance – most have already had that before they came to Pitt. It truly isn’t Pitt’s responsibility to babysit every vagabond player who drifts eastward from Mississippi or Los Angeles; they can get second chances to play at other schools in other levels of competition if Pitt say “No” to them. On a more positive note there are also those graduated players who did well at their previous schools. They are usually seniors or 5th year seniors who still had that 4th year of eligibility but were not going to be asked back because of being recruited-over at their position. That team to team move because they were made redundant as a rsSR isn’t a negative mark on them. Then every once in a while a graduated transfer concentrates on education above football and looks toward a different university which would have a stronger Masters Degree program in his chosen field of study. He would then be released from his original scholarship and will ask to transfer into that new university, play ball for the new scholarship and get that particular graduate degree. So you see that types of transfers run the gamut when it comes to reasons why players leave their original schools and why (and how) they land at Pitt. Nate Peterman was a perfect example of a grad transfer looking for extended playing time and a strong graduate degree. 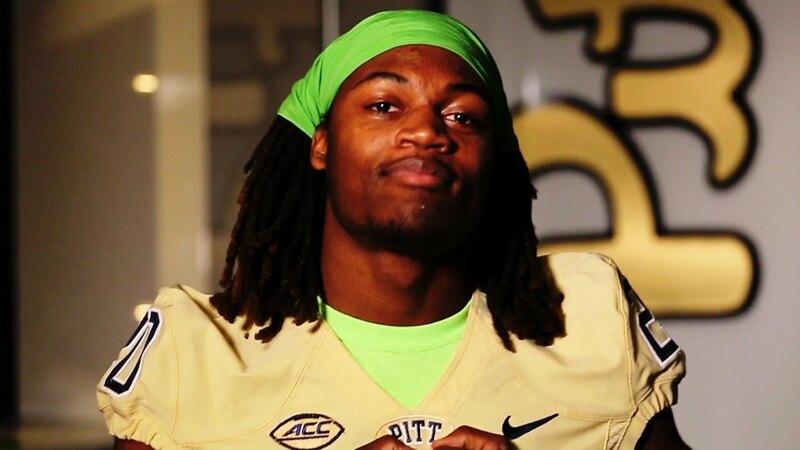 Then on the flip side as stated above we had Kam Carter, an unfortunate example of a kid running from failures and who has yet again left a football program, this time Pitt’s, in search of something only he knows what to find. 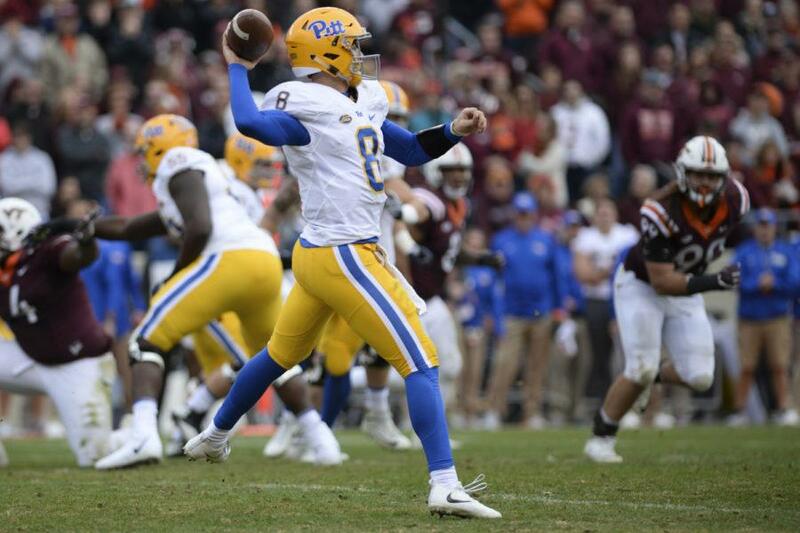 I write this as background for a team issue which I believe may be a key factor and a possible turning point in Pitt’s upcoming football season and that is the fact the back-up QB spot is being filled by transfer rsJR Ricky Town who has already been anointed Pickett’s successor by Narduzzi and offensive coordinator Shawn Watson. Usually there is little or no interest in the possible 2nd string QB but given what we had happen at Pitt last season the glare of the spotlight shines directly on Town. It is pretty apparent to most fans that should our starter Pickett go down for any length of time we’ll be in trouble due to the fact because we have so many big question marks at the other offensive positions he is seen as the stabilizing force and leader of the offense. It may well happen that the season could ride on Town’s shoulders this year – so what type of young man and football player is he? In Chapter Two we’ll discuss Town’s childhood introduction to football, his extensive and elite training regime and his long and circuitous road to the Southside. Editor’s Note: I have chosen to ‘close comments’ for this series until the last chapter is published. I do that for a couple of reasons but mainly because I am telling a story here and with that don’t want anyone to jump ahead and write about issues that I’ll cover in later chapters.